Or is it just too easy to sell them like this? 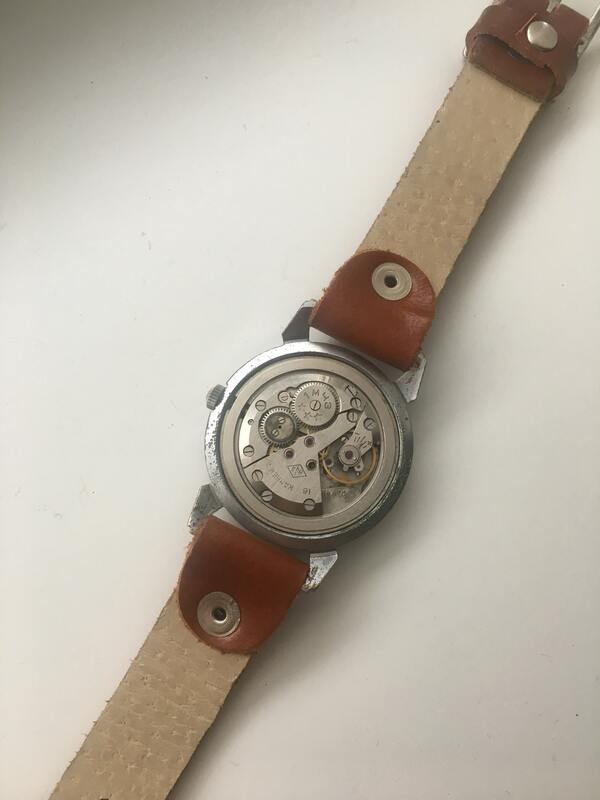 How many buyers are actually going to the internet to source old Soviet watch catalogs, pouring over said catalogs to find an exact model (if they can) to compare against for legitimacy, then consulting with other 'eksperts' in the field to discuss the relatively likelihood of one part being used over another? I can say with great confidence: not many. If I had to guess, I'd say the vast majority of casual watch buyers – and even many collectors – simply go online to a place like eBay, find what they like, and click "Buy it now". cptwalker and Sansoni7 like this. Sounds like pure bliss to me!! But then again, doubts might appear like dark clouds at the horizon. And each time you look full of pride at your beautiful watch, you sense something's off, and it starts with a hint of a whisper but after a few days it gets louder and louder: wrong hands, WRONG HANDS, WRONG HANDS!, till lightning strikes and suddenly you are not wearing your beloved watch anymore, but you can only see it for what it is, a (terrifying scream and dramatic music) FRANKENWATCH. So, yeah, for some the simple way is to come to F10 and ask some very nice people for their help and opinion. cptwalker, mroatman and Owlski like this. I've been eyeballing this kirovskie. Authentic? Happiness from old watches, a fragile state of mind indeed. and the green one seems to be having serious issues with hands, crown and even movement? No wonder it is cheap. On another note.. Is this vostok precision legit? Also is that a copper dial? I almost never see this type of dial on russian watches. Blued hands as well? Last edited by cptwalker; September 14th, 2017 at 20:50. Looks good to me. I think it's the warm lighting that makes that dial look coppery. Yes, blued hands. cptwalker and kev80e like this. Hello dear comrades, what do you think about this vintage Amphibia?